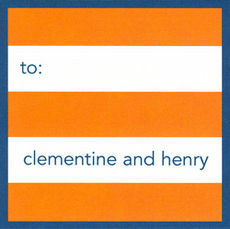 Sample shown in BINB typestyle using Black ink color with Tangerine lining. Sample shown in BINB typestyle using Black ink color. Center frame design will appear in pink color as shown.